I think it must have been at least 15 years since I've been hearing about Taj Mahal cafe-about the yummy breakfast,sweets and the special brew of coffee and lots more.Few years back,while we were in Mangalore,we were lucky to taste a few dishes from Taj Mahal as part of a breakfast fare we were served at an aunt's place.Ever since,the craving has only increased. 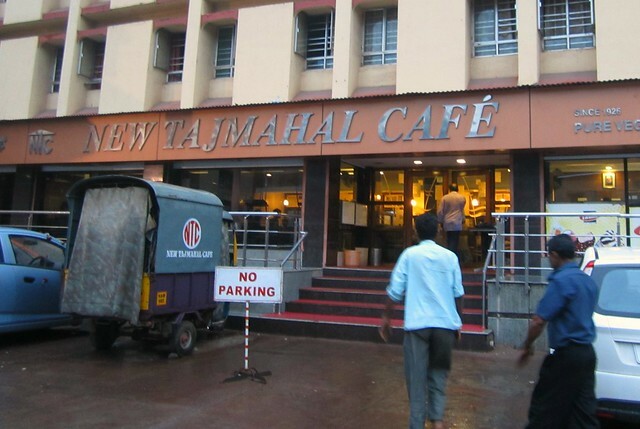 We had headed to Mangalore to join the family for a wedding and number one agenda on our minds was a breakfast at Taj Mahal's.We were there at the crack of dawn,not surprisingly to a packed restaurant.The door opens at 5 in the morning,we were told. 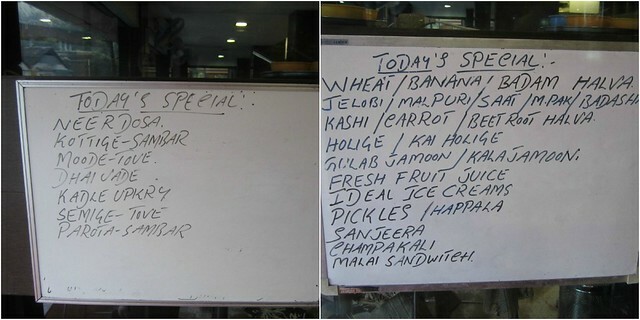 There is no written menu as such,though outside a white board with specials for the day is written,no one is interested in that.The regulars know which day what special item is served.We relied on the expertise of a cousin who accompanied us. 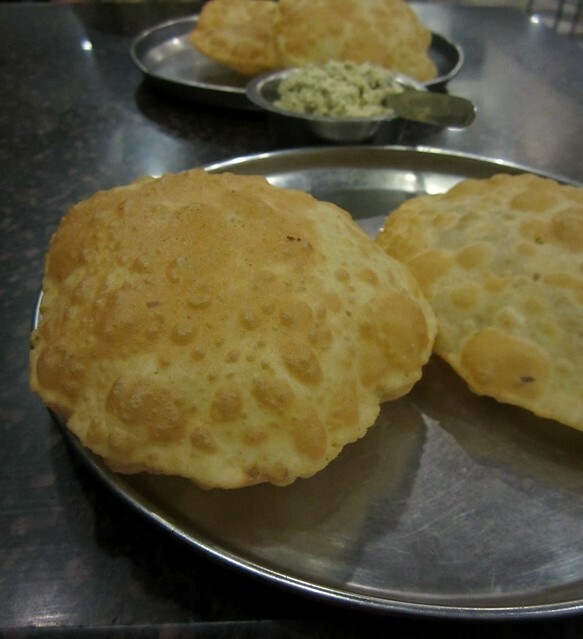 First item to reach our table was Teekha Roti.As the name says,it is a spiced poori,crisp on the sides and soft in the middle,accompanied by thick coconut chutney. 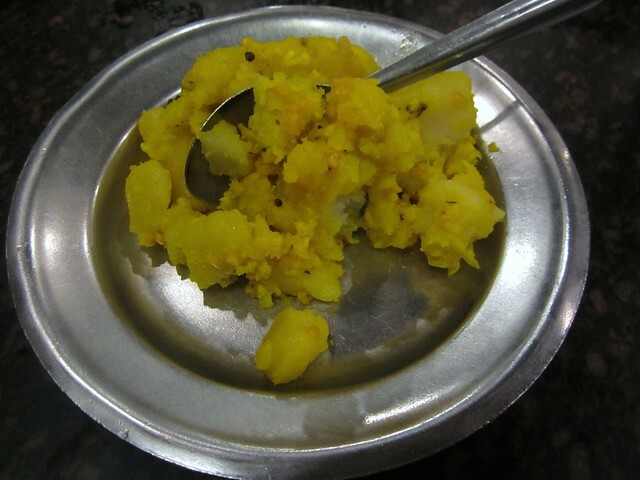 We also got a Potato bhaji,which is also known as 'Bhattali bhaaji aka poojari/pandit's bhaji' since it does not contain onion or garlic.Though it appeared initially as though we ordered too many rotis,they were gone in a few seconds flat! Biscuit Roti was the one to arrive next.I don't think I've had hot biscuit rotis from the kadai to my plate anywhere else.Of course homemade ones are an exception.The filling was spicy and sweet and the roti was crisp and hot! After another set of teekha roti,we ordered Buns.Yes!Buns the size of our palms,pillowy soft inside with the right hint of banana and just sweet enough to pair with chutney,it was truly a treat for our palates. Ended the breakfast with coffee specially brewed in the restaurant.Wanted to come back for more but that's for another time. A breakfast for five including coffee cost us Rupees 270/-.Read more about Taj Mahal here and here. Disclaimer-This is not a paid review.I liked the restaurant and thought of sharing my experience with my readers. 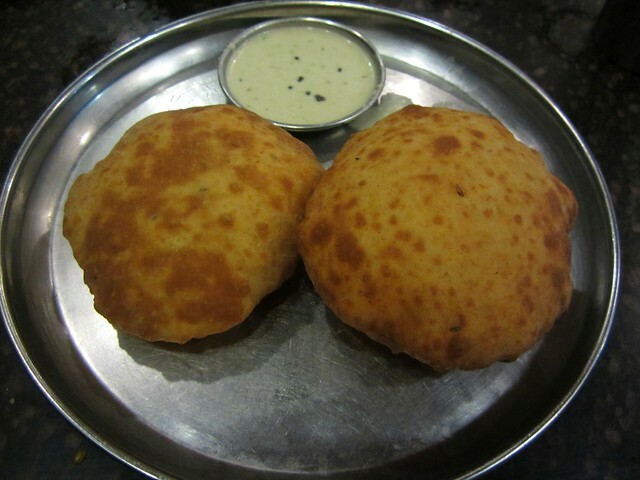 Buns are my fav there.. there's one more Taj Mahal in Mangalore..
More than the snacks .... their sweets r famous.... the jelebies, macaroons , halwas..... the list goes on .... and holiga...!! Returning home last weekend from the same wedding, we stopped over at NTC. The biscuit roti & buns were indeed delicious - packed some for the journey too. Hotel Ayodya which is adjacent to NTC is also very popular. I had been there last time i was in Mangalore! 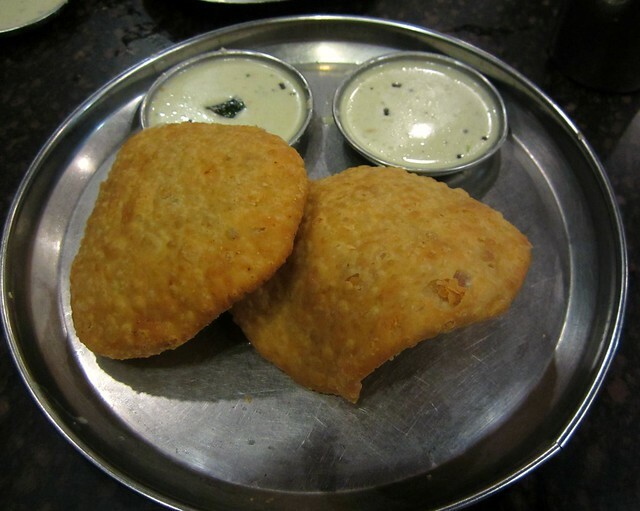 Tuppa dose was good when i had, and the mangalore-bajji / goli-baje was a put down... Other stuff were great, however! wow, the taj mahal in this picture opens at 5am! that's news to me. i knew their branch opp wenlock hospital opens at 5, didn't know about this one!! goooodie!! Vow.Very tempting.Mangalore meant summer vacations.Wish you a Very Happy Diwali And A Prosperous new Year. 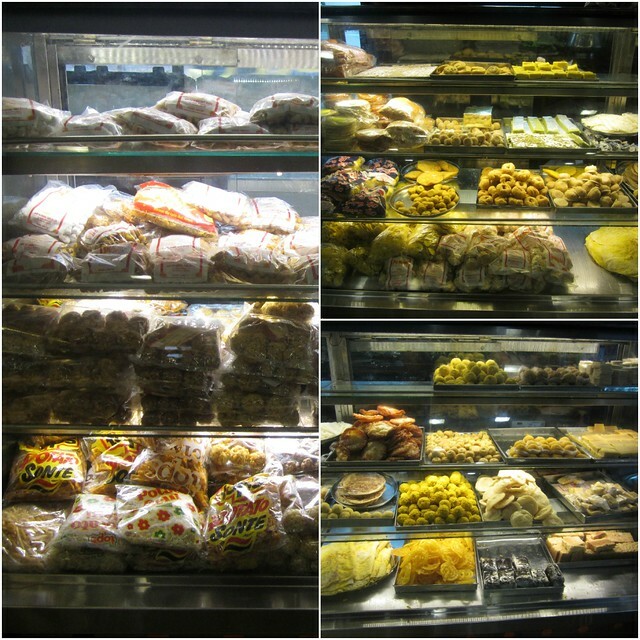 all the food there looks tempting..thanks Divya for introducing. 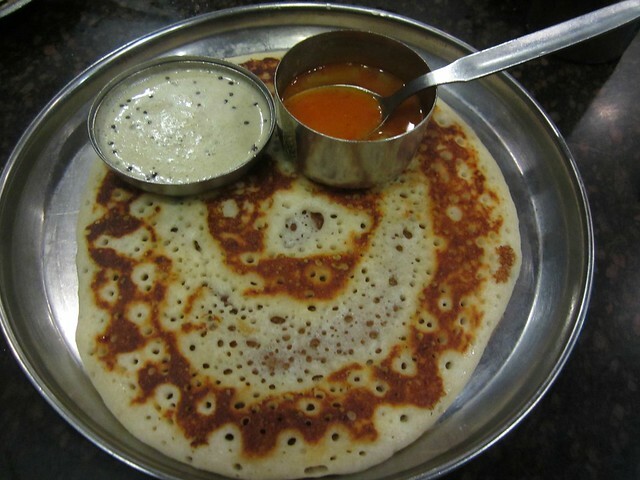 WE will visit there next time when we visit mangalore.